Neowin reports that well-known Windows insider "Canouna" has tweeted the intended launch date for the official Release Preview (i.e. Release Candidate) of Windows 8. 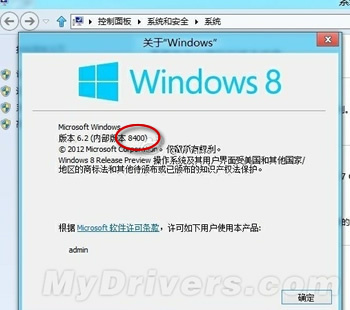 According to the source, the Windows 8 RC will be available on June 1. This latest morsel of information helps confirm earlier rumors that a preview version would be available during the first week of June. Mind you, rumors are just that, rumors, but one thing remains certain; the imminent release of Windows 8 is closer than ever. Although the future will continue to remain uncertain for final retail editions of Windows 8, recent developments currently point to an October launch date. In the tweet, Canouna boldly states, "#Microsoft‬ ‪#Windows8‬ Release Preview public download = 1st June". In addition news of the upcoming preview, Canouna also tweeted that Windows 8 will be the first Windows OS to feature Adobe Flash pre-installed. This is an interesting departure from Microsoft's past practices, but one can't help but think they're a little late to the party -- Flash has been around since Windows 98. By the way, remember when it was a Macromedia property? Anyhow, fast forward to present day and HTML5 has begun to usurp Flash, at least for some content. Interestingly, for better or worse, Apple had already been bundling Flash with Mac OS for many years. The company stopped with Lion though, possibly due in part to concerns of security and Steve Jobs' apparent disdain for Flash. Will having Adobe Flash pre-installed also make Windows 8 inherently less secure?